What if your chimney fell on your neighbor, injuring him and ruining his expensive sports car, and you wind up facing a $500,000 judgment? If your homeowner’s policy pays a maximum $300,000 for liability, you would be in a tight spot. Where will the rest come from — future earnings, selling your home, forfeiting an inheritance? One way to help protect your assets from settlements that exceed the coverage limits of your homeowner’s and auto policies is to purchase personal umbrella liability insurance. An umbrella policy gets its name because it provides an extra layer of protection in the event you exceed the maximum limits of your other liability insurance. Umbrella policies are usually sold in increments of $1 million, and they typically require deductibles equal to the coverage limits on your homeowner’s and auto policies. 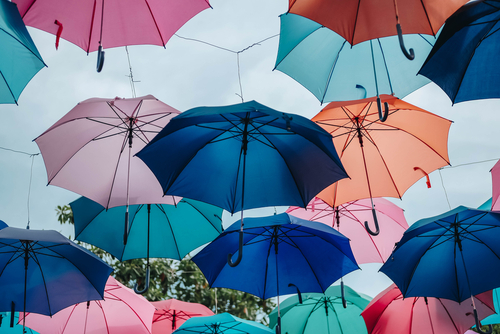 Many umbrella policies include coverage for things excluded on standard auto, renter’s, and homeowner’s policies such as libel, slander, invasion of privacy, defamation of character, or other personal injuries. Some umbrella policies also provide coverage if you face personal liability arising from your service as a board member of a civic, charitable, or religious organization.